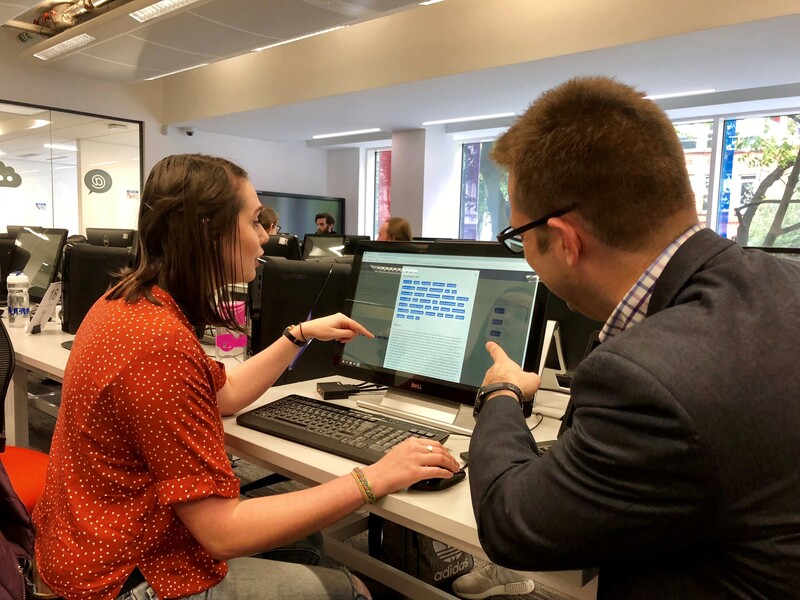 A student at Automated Intelligence says she is “overwhelmed” after it was confirmed an audio reading feature she developed is to be integrated into our data management solution AI.DATALIFT. 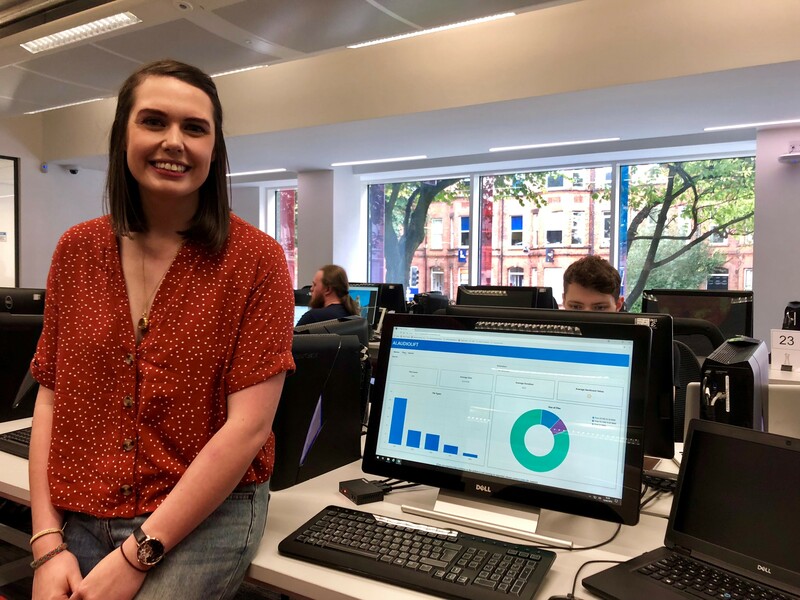 24-year old Edele Copeland is completing her dissertation as part of her Master’s Degree in Software Development and during her placement here, has built an application which can analyse and transcribe media files in minutes. This is a significant extension for AI.DATALIFT due to the amount of Personally Identifiable Information (PII) given in audio calls within industries such as the Public Sector, banks and utilities. Such organisations require details such as addresses, date of births or National Insurance numbers to confirm the caller’s identity, and for the calls to be recorded for quality purposes. It means AI.DATALIFT can now return search results from audio and video files, as well as in written form, for GDPR Subject Access Requests. Edele said, “I studied maths at university but I knew that my passion lay in computing, so I went back to uni to do a 1-year conversion course in Software Development. As part of my last term, which is the dissertation element, I was delighted to complete a placement at Automated Intelligence which I discovered through Microsoft. “When I joined, the concept of audio reading for AI.DATALIFT was at R&D stage and I was tasked with creating the feature. I didn’t expect to be so hands on that quickly, so that was scary, but I believe it has helped me to learn more. “Up to now AI.DATALIFT has been able to look at the metadata of media files, but what I have created transcribes the files to be crawled for content analysis using some of Microsoft Azure’s advanced technology. Edele’s feature can also extract keywords and complete a sentiment analysis to determine whether the content is positive or negative. Automated Intelligence Technical Director and Edele’s mentor throughout the project, Jon Loomie said, “The feature Edele has created uses some of the world’s most advanced analysis capability for audio and video. “We had been asked by organisations whether a feature like this was possible because of GDPR and the PII contained in media files and it’s testament to Edele that this was built in such a short space of time. The management team has been so impressed that Edele has now been offered a full-time position with AI and will start in October. For more information on AI.DATALIFT, please get in touch.